The Clippers are currently tied at two in their series against the Trail Blazers, but the rest of those games are going to be tough. 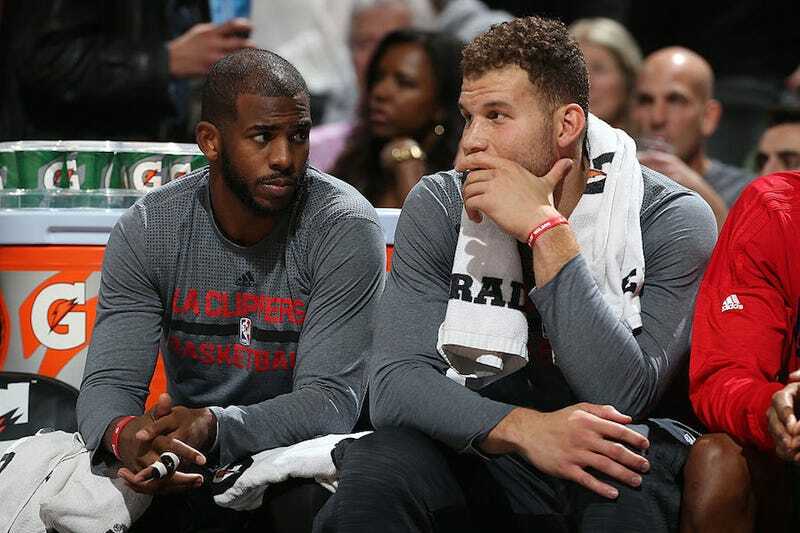 Chris Paul and Blake Griffin won’t play in any of them. Griffin re-aggravated a quad injury in Monday’s loss to Portland and will be out for the rest of the playoffs. Paul broke a bone in his hand and will officially be out for four to six weeks after surgery, but that timetable’s more of a formality. The fate of the Clippers is in Austin Rivers’s hands. Dammit, he already turned it over.